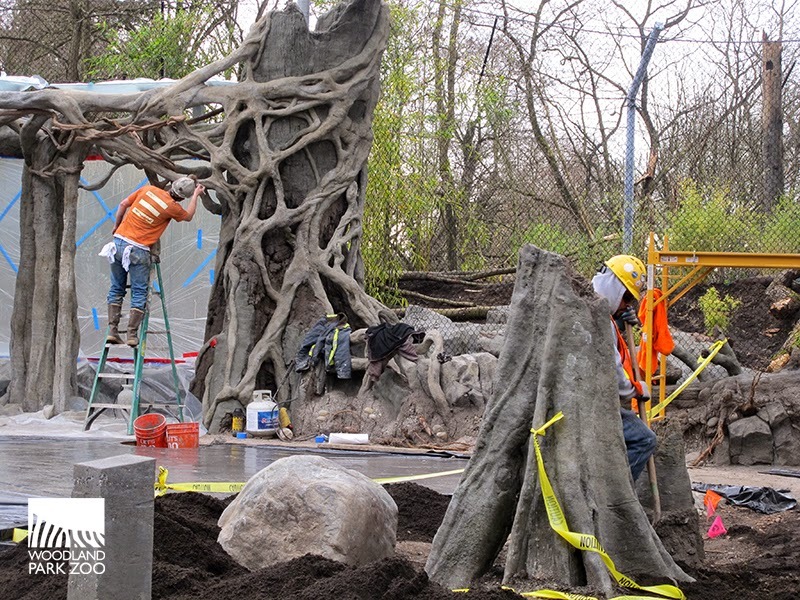 At the heart of the zoo, we’re putting the finishing touches on our most ambitious exhibit project in nearly two decades. Banyan Wilds is our new home for three Malayan tigers, three sloth bears, an entire family of frolicking Asian small-clawed otters and a colorful aviary. We are eager to open this immersive exhibit to the public on May 2. As we watch the final details come together, we can’t help but share with you a sneak peek at some of the elements you’ll find in the tigers' and sloth bears' new home and a look back on what it took to get here! As luscious bamboo starters are positioned to plant, here is one view into the new tiger yard. The blue tape on the windows reminds workers that glass is in place. 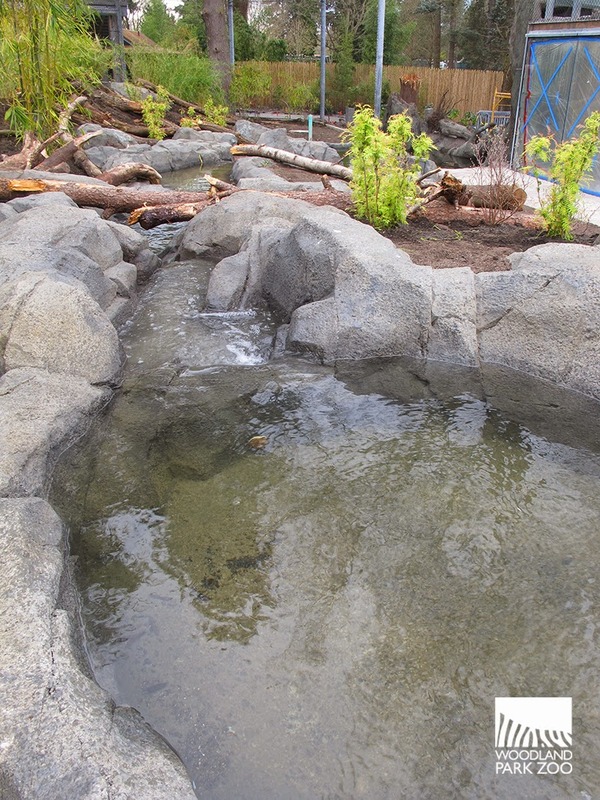 This view of the tiger stream is for tiger eyes only, but visitors will be watching from another viewpoint as tigers splash and play in the cool water. Building this exhibit has been a labor of love and loads of hard work. This project began in early 2010, when the very first sketches of the plan were imagined. Like many projects of this scope, plans were envisioned, drafted, reworked, and sometimes reworked again and again and again. When it came to ensuring the safety and welfare of our residents, we admit, we were sticklers for precision. 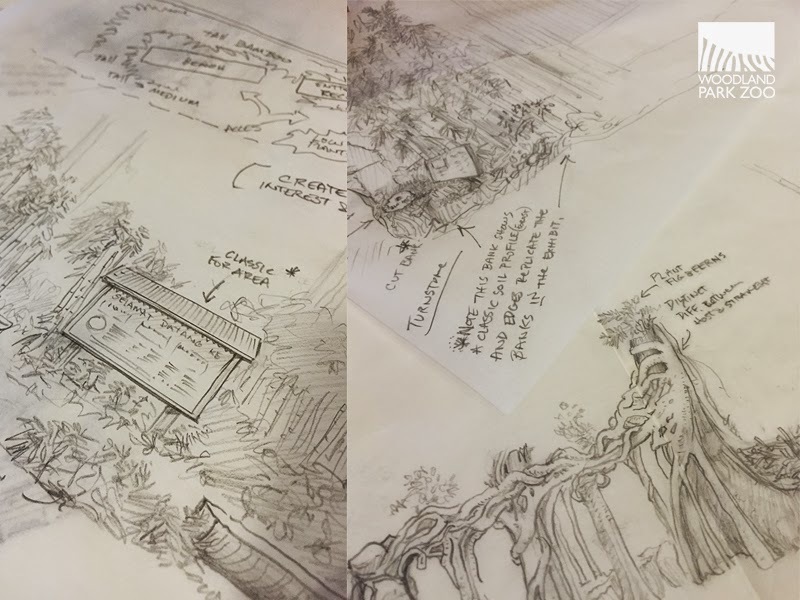 It took many meetings between guest experience experts, our animal management team, sustainability gurus and our fabulous in-house interpretive crew to nail down (no pun intended) the blueprints for what would become Banyan Wilds. Drawings such as these sketches by interpretive designer R. Scott Vance help shape the look and feel of the exhibit. 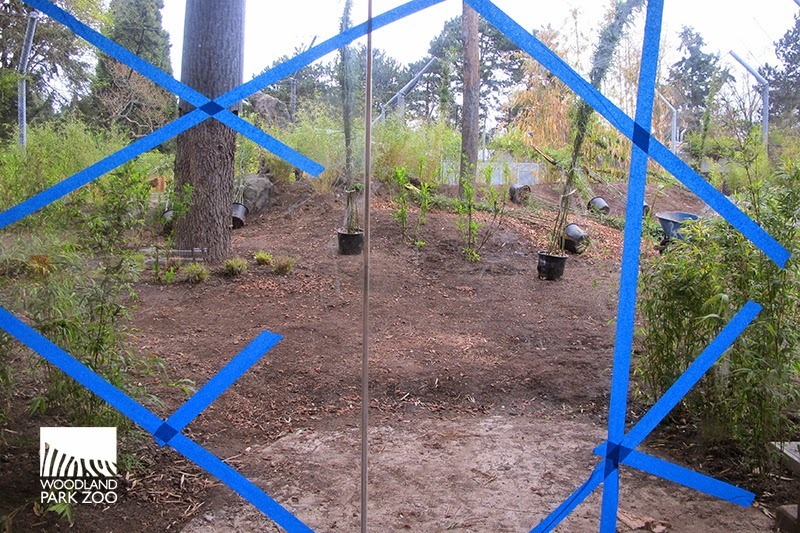 In 2012 we broke ground on the first part of the exhibit. 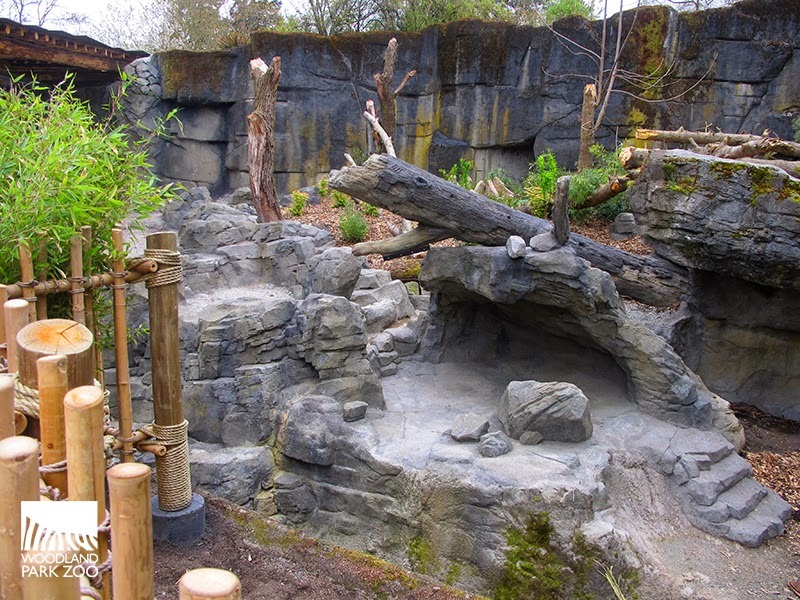 Completed in time for summer 2013, this portion of the exhibit introduced guests to a brand new species for Woodland Park Zoo, the Asian small-clawed otter. The playful family has become a highlight of the zoo and a must-see for many visitors. In addition to the otters, we unveiled a very choral aviary currently home to azure-winged magpie, Chinese hwamei, Nicobar pigeon and great argus. 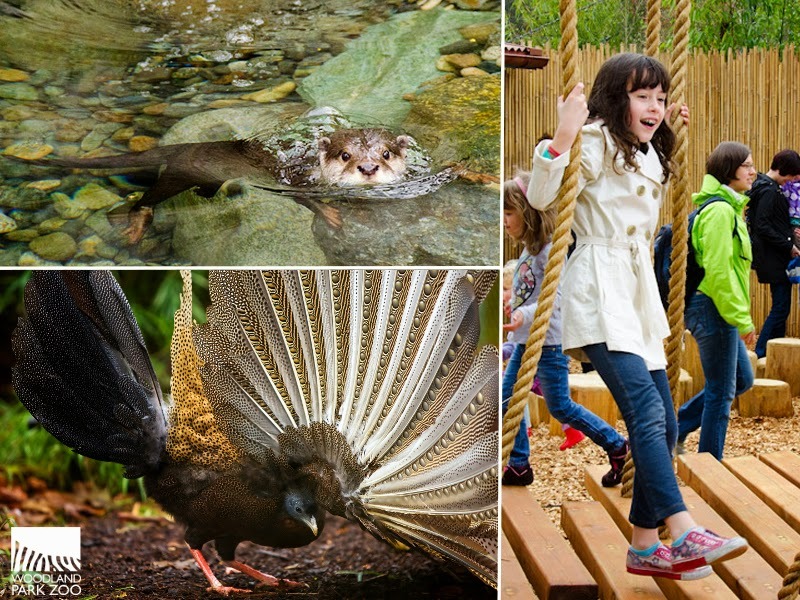 And if you’ve visited the zoo with anyone under 10 years old, you’ve undoubtedly been introduced to the play space at the entrance of the exhibit—complete with wobble logs, balance beams and the ever popular zip line. The first half of the exhibit was complete in 2013, and we can’t wait to watch you experience Banyan Wilds in its entirety. Photos by Ryan Hawk and Dennis Dow/Woodland Park Zoo. 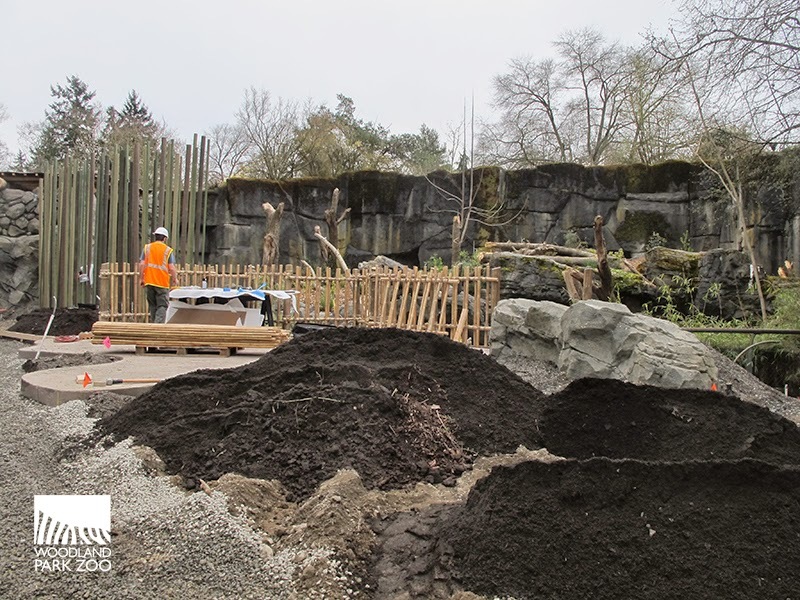 Since last summer, we’ve been busy bulldozing, digging, laying rock, sculpting banyan trees, painting ant hills, planting bamboo and completing a myriad of construction to-dos in the remaining tiger and sloth bear exhibits. Pouring cement for the new crossroads between the two exhibits, you can see the sloth bear viewing window in the background. Hand painted detailing comes after the sculptural elements are in place. Dirt, dirt, dirt… many kinds, many uses and in great supply. The blueprint for this exhibit reads like a walk through the forest, at each vista guests are shown a glimpse of a larger story. Each element—tiger pool, sloth bear cave, Field House (where you'll get to know our field partners in Malaysia and the conservation projects they are undertaking), Asian-small clawed otter spring, caretaker's place (where you'll have the opportunity to learn more about sustainable palm oil) and the great banyan tree—is a sliver of life in the Asian tropical forest. Deliberately composed, these tangible features form what we hope is a lesson in living landscapes. Our goal is that while you'll visit the tigers and sloth bears to get up close to these awe inspiring animals, you'll also take away lessons about the people who share the forest and the communities that rely on its resources; sometimes in harmony and sometimes in competition with wildlife. Get up close and you’ll notice our design crew’s intricate attention to detail, such as these lichens, which were hand painted on this cement banyan buttress. 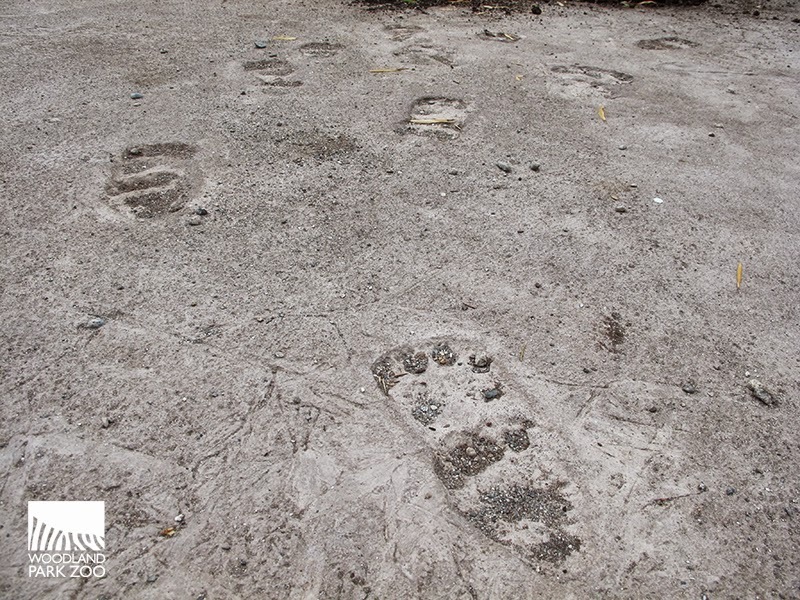 Sloth bear footprints lend a spark of intrigue to the pathways. From the texture on a single vine to the shadows made by a forest gate, our interpretive team has poured over each and every detail in this immersive new space. Designers have drawn from the rich landscapes of India (where sloth bears reign), the Malay Peninsula (where tigers reign) and 12 South Asian countries in between (Asian small-clawed otters are found throughout South Asia). These regions are also home to Asian elephants, tapirs, civets and numerous wild cat, primate and bird species. Banyan Wilds invites you to witness the diversity of Asia’s tropical forests and contemplate the crossroads we face in learning to coexist with wildlife in an ever-changing landscape. 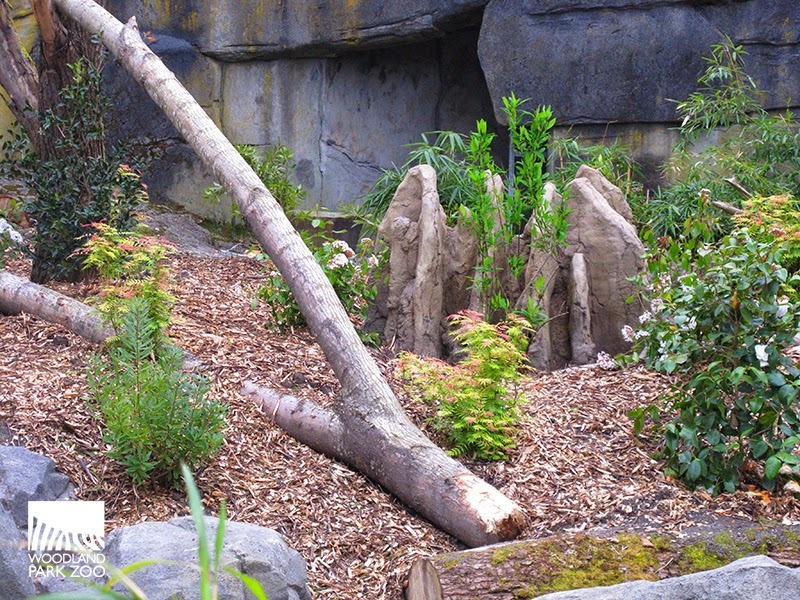 Inspired by the natural rock formations in India, the sloth bear yard has plenty of space for napping, exploring and climbing. 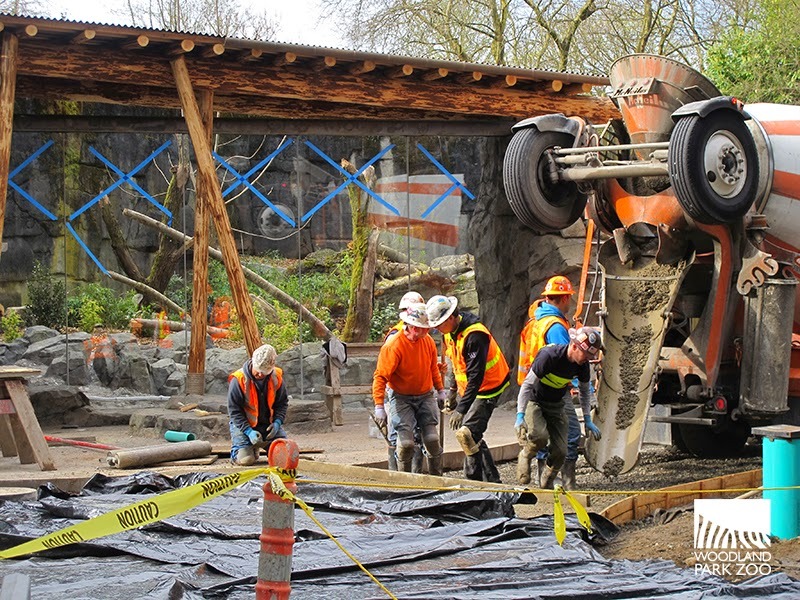 With features that allow keepers to perform state-of-the-art animal care and enhanced enrichment opportunities, the exhibit is also an occasion to showcase and celebrate our commitment to animal health and excellence in zookeeping. A jostle tree built especially for a curious tiger, hot rocks that makes a tiger’s poolside nap just a bit more relaxing, a termite mound (full of grubs) for a snacking sloth bear—the new exhibit serves to please our animal residents most of all. 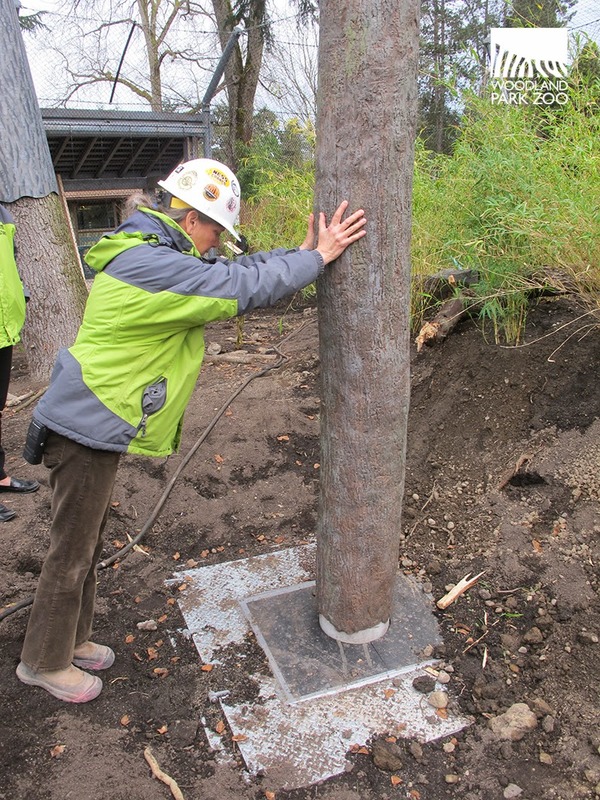 Capital Projects Manager and stunt woman Monica Lake demonstrates the jostle tree, a tiger enrichment element that blends into the exhibit. Tigers can shake the tree and if treats are placed inside, they will land on the ground nearby. This termite mound in the sloth bear yard will dispense real insects as special enrichment for the vacuum-like snackers. Keeper Bret Sellers gets up close with one of the boys. 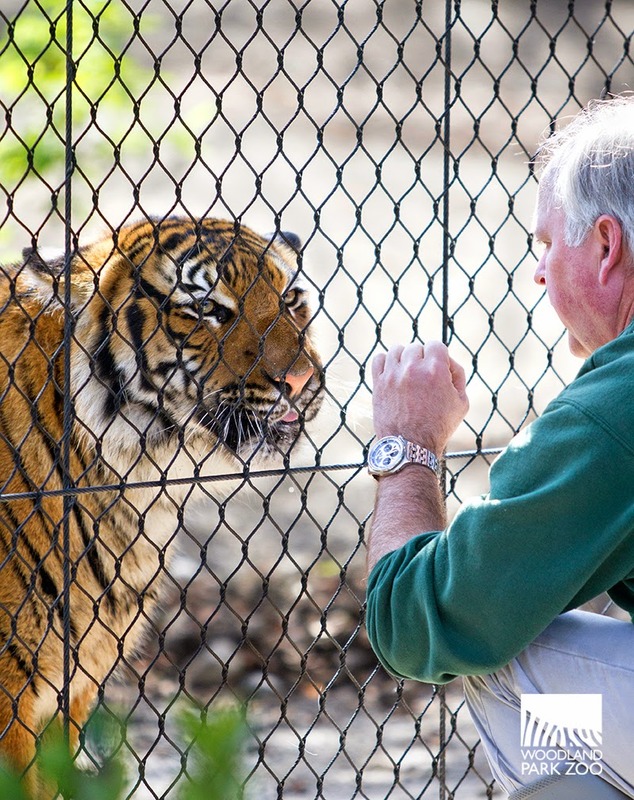 The tiger training wall area lets guests watch keepers perform health checks and daily training with the big cats. Photo by Ryan Hawk/Woodland Park Zoo. When you visit in May we hope you’ll be inspired to connect with our animals and their story; leaving with a better knowledge of how truly linked we are to their world. Discover how communities are learning to coexist with wildlife—and how our actions can make a difference all the way across theglobe. It's your generous support—and the support of more than 1,250 individual, foundation and corporate donors—that has made this exhibit possible, and we can't wait to celebrate with you. Oooh! Real painted lychen on the concrete pretend Banyan trees! What more could a wild tiger want! 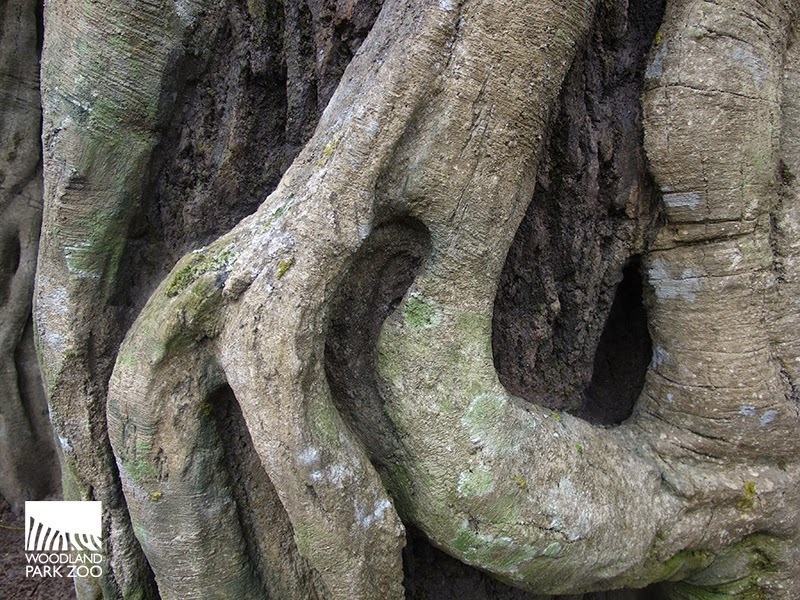 The focal banyan tree has to stand the test of visitors and tigers alike, but rest assured that the exhibit has extensive live plants and the vegetation is still growing in.